FAQ – Mitsib Leasing PCL. We have the answer for all your questions. 1How long does it take to process the application after it’s been submitted? The completed application form and support documents will take up to 5 working days. 2How much is the reservation fee? 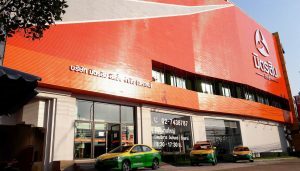 5,000 baht for brand new taxis and 3,000 baht for second hands, which will be a part of your down payment. 3Is it possible to apply for Mit Sib loan if i have credit history and listed on credit bureau report? 4What support documents is required for loan application? • 4 copies of Public Automobile Driving License. 5What support documents is required for loan guarantor? • 2 copies of the guarantor I.D. Card. • 3 months bank statement. 6Can i apply for the loan without a guarantor? 7Can i sell my used taxi back to Mit Sib? You can, with the conditions supplied.